MADISON HEIGHTS — As Iraq’s Christian population continues to diminish, the language, culture and history of Chaldeans, Assyrians and Syriacs are also dying. “Right now, we are on the verge of extinction,” said Nathan Kalasho, a local Chaldean activist. Today, only a projected few hundred thousand Christians remain in Iraq. More than half were forced into exile after the 2003 U.S. led invasion because of religious persecution. While he can only do so much to help preserve Chaldean, Assyrian and Syriac heritage in Iraq, Kalasho is determined to keep his people’s language, culture and history alive in metro Detroit for future generations. Kalasho is the president of Kalasho Empowerment of Young Scholars, which manages Keys Grace Academy, a one-of-a-kind charter school dedicated to preserving the language, culture and history of Chaldeans, Assyrian and Syriacs. Kalasho said the idea was to incorporate the heritage of Iraqi Christians. “The only way to maintain our heritage is to make sure it is passed down to future generations,” he said. The K-12 school, located at 27321 Hampden St. in Madison Heights, is scheduled to open in September and serve about 500 students. A grand opening ceremony is expected to take place Thursday, Aug. 6 from 5 to 8 p.m.. The non profit Academy’s curriculum follows the Michigan State Board of Education guidelines for all schools and offers tuition-free classes. 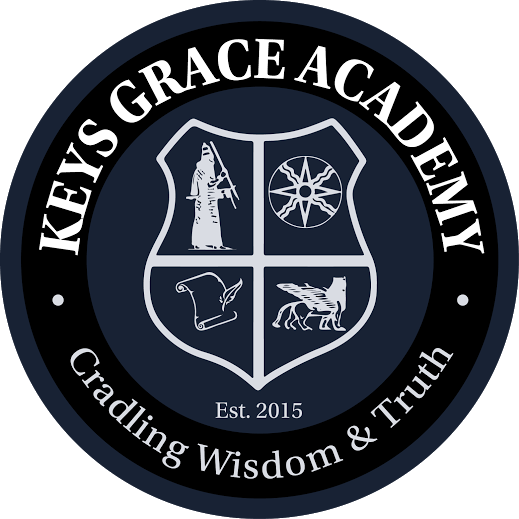 Keys Grace Academy’s mission is to prepare 21st century students to think and succeed in a diverse, technological and ever changing world through a partnership of homes, school and community. It will provide broad instruction of language arts, mathematics, science, social studies, computer science, art, music, physical education and health. The school will offer classes in which students are taught how to read and write the dying ancient language of Aramaic spoken by Christ. It is spoken by Chaldeans, Syriacs and Assyrians. Locally, many Iraqi Christian churches and groups have also stepped up efforts to preserve the language by offering courses in Aramaic. There is a lot of concern the language will be lost among future generations, which is why the launch of the Academy is so important to metro Detroit’s large Iraqi Christian community. “This is about our community and the community at large,” Kalasho said. The school is open to everyone and not limited to Chaldean, Syriac and Assyrian students. For Kalasho, the plight of Iraqi Christians is personal. His parents trace their roots to the country. He can still remember his mother and father both crying after their villages were taken over by militants. Most Chaldeans, Syriacs and Assyrians in metro Detroit trace their roots back to the Nineveh plains of northern Iraq, which is empty of Christians for the first time in history, as a consequence of the terrorist group ISIS seizing control of Mosul last summer. After the invasion of Mosul, Kalasho was one of many Iraqi Christians to visit Washington D.C. and advocate on behalf of Iraq’s religious minorities. “I met so many Chaldeans, Assyrians and Syriacs who were more passionate then I ever thought I could be,” he said. Many of the Christians who were given the ultimatum by ISIS to flee Mosul, convert to Islam, pay a special tax or die have now resettled in southeast Michigan, including Madison Heights, Sterling Heights and Oak Park. Kalasho, who previously served as the president of the Hazel Park-based INVEST Schools system, said opening the school in Madison Heights was a factor because of the sizable Iraqi Christian presence in that community. The Academy plans on working with the Chaldean American Ladies of Charity to help underserved students and their families. States with large Iraqi Christian communities around the country have welcomed the idea of a charter school focused on preserving their history. Kalasho said there are plans to expand in the future. “It will be the first of many,” he said.